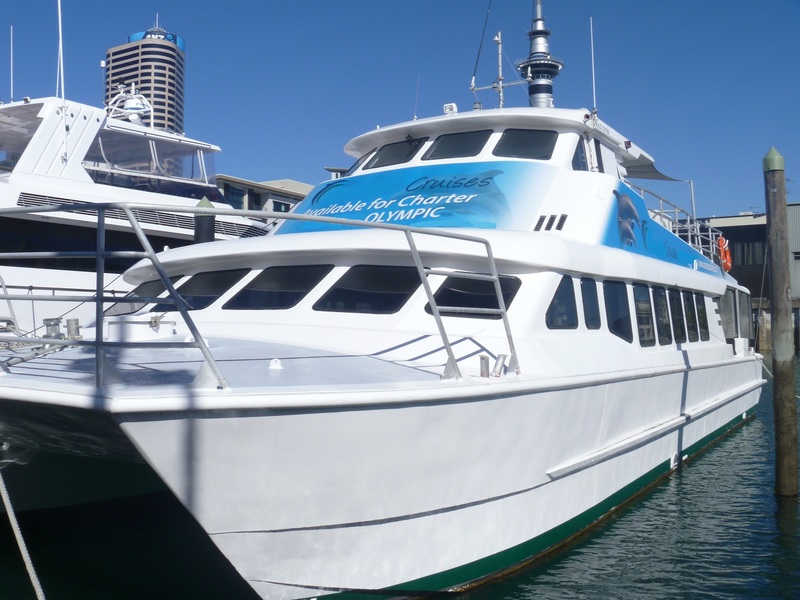 Offering a comfortable air-conditioned main deck lounge where you can enjoy a relaxing drink from the bar. There is a small dance floor for those wishing to show their dancing skills. 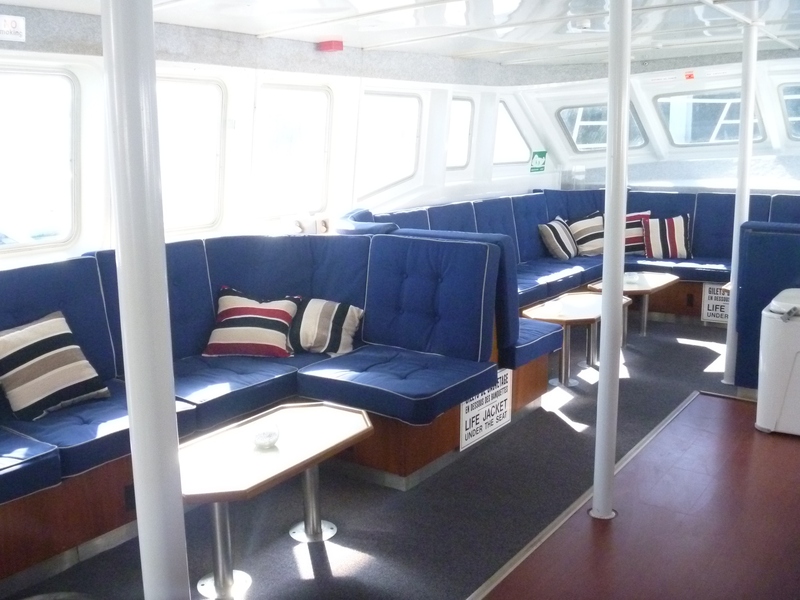 The main deck outside area is carpeted and offers plenty of space and comfortable surround seating. This area can be closed in bad weather to offer a cosy inviting atmosphere. Depth 1.45 metres. Height of tunnel 1.18m. Watertight Bulkheads 4. 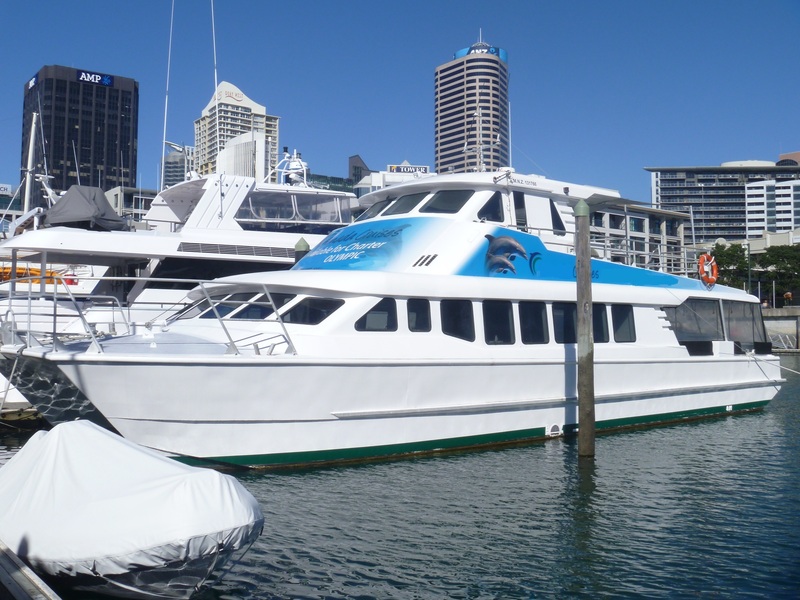 Open top deck 5m x 4.5m (seats 15 pax). Open main deck 6 metres x 3.9 metres. 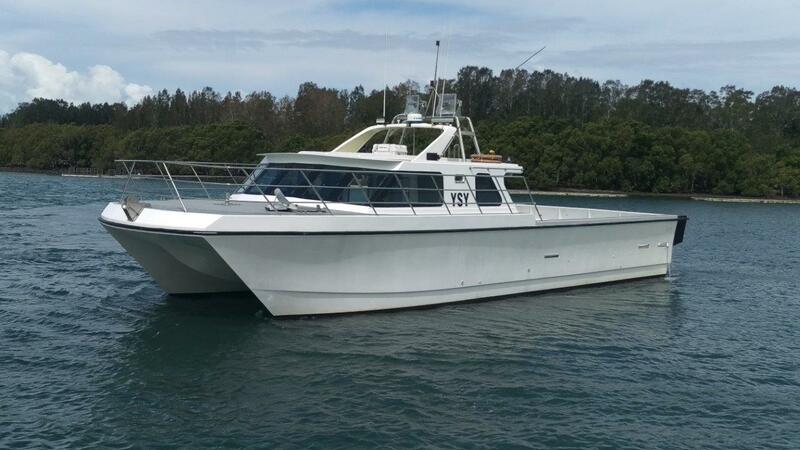 Alloy by Sabre Catamarans, Fremantle, WA. 1991. 2 x Detroit 8V/92 turbos – derated to 475hp each. These engines installed second hand in approx 2007 (have done very low hours since). Engines coupled to hydraulically operated Arneson Drives (power trim). Wet exhausts. Engine room extractor fans. Kohler 20 kVA model 20EF0ZD c/w sound box installed new 2012. 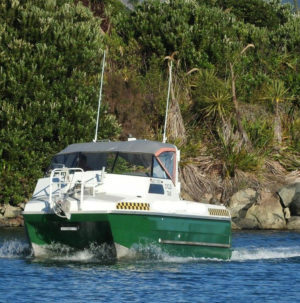 Estimated at cruise 17/18 knots at 2000rpm, max speed 19/20 knots –unconfirmed. 2 x 1200L fuel tanks, water tank and holding tank. 2 x anchors and chain. Electric capstan. 3 x heavy duty watertight doors service the main saloon. VHF handheld, Simrad. VHF – Shipmate. Radar – JRC 2000. Compass – Suunto. GPS – Furuno GR32. Chart plotter – Simrad CE32. Professional sound system and microphone. Flybridge helm station with large afterdeck. Main saloon on weather deck with large afterdeck. 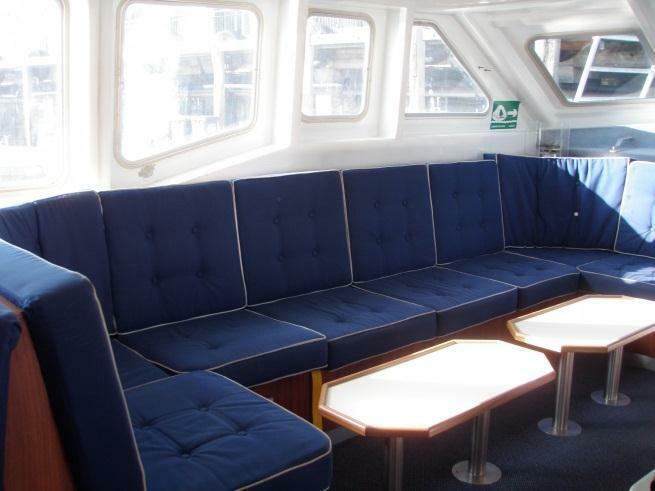 Main saloon / lounge for up to 50 passengers. 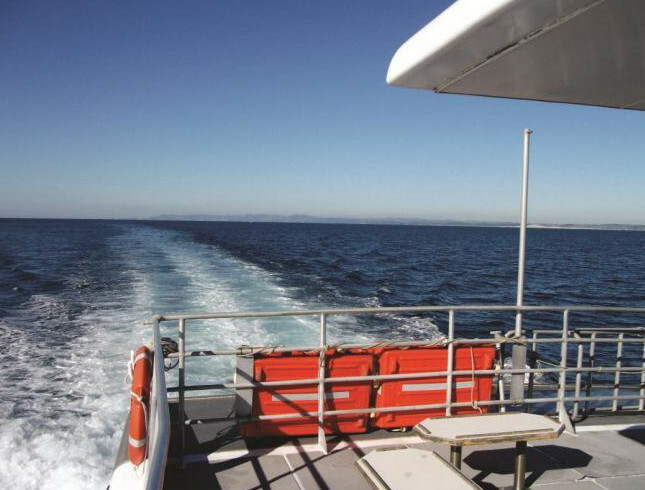 Entry deck with comfortable cushioned seating. 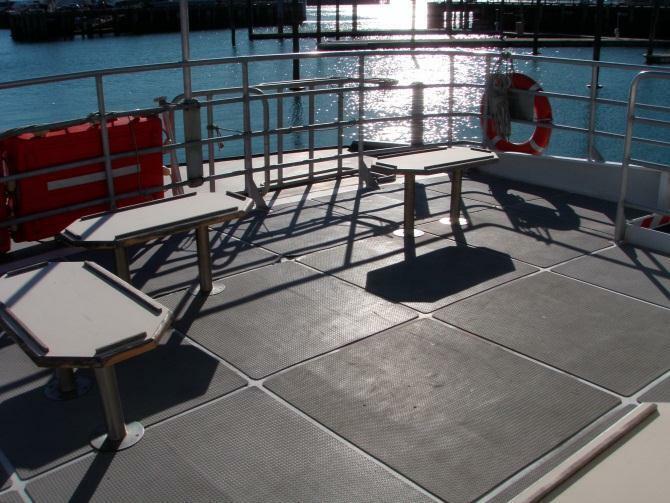 Top deck can hold about 20 people and offers unobstructed views of the surroundings. 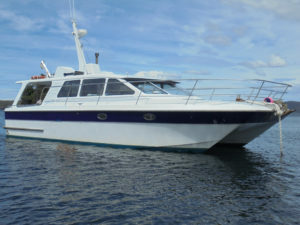 She is a catamaran with a wide beam so will offer comfortable travel under most conditions. • Elevated upper deck for the outside breeze and beautiful views! Two day berths in Flybridge. Bar/Servery, very smart and very spacious. Designed to serve salads/light lunches in a quick turnaround. 6 x bench cupboards 240 volt hot plate, 2 door bar fridge and glass washer. Quality timber and stainless steel finishes. Main Saloon – Alcove seating for approximately 66 passengers. Seating and soft furnishings, air conditioning throughout. 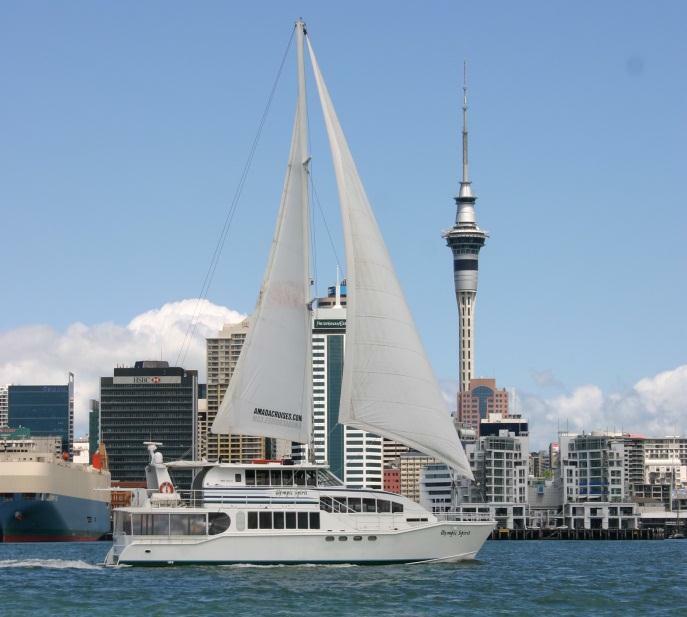 New Zealand charter survey for 67 passengers.